Neck lanyards are a very popular accessory for wearing and displaying ID cards. 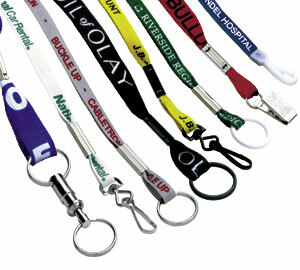 Neck lanyards are available in many styles and colors, and can be worn without harming clothing. Custom imprinting is available on all of our flat neck lanyard styles. All of our neck lanyards can be shipped with a multitude of attachments at no additional charge. See various attachment aptions above. See various attachment options above. 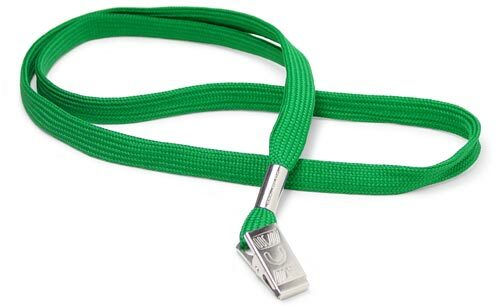 3/8" wide flat woven breakaway nylon neck lanyard. 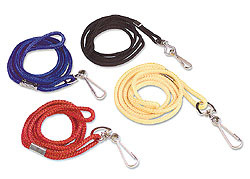 5/8" wide flat woven breakaway nylon neck lanyard. Colors on your screen may not be true representations of actual colors.